It seems like Hyundai is eyeing a slice of that delicious B-segment crossover pie. 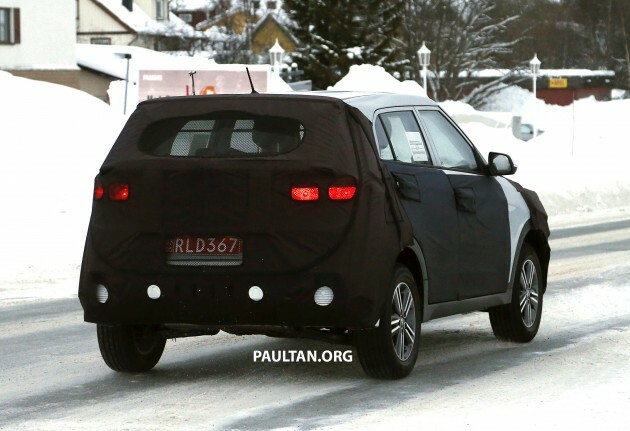 This is the Hyundai ix25 – caught during winter testing – that will make its debut at the Beijing Motor Show in April. 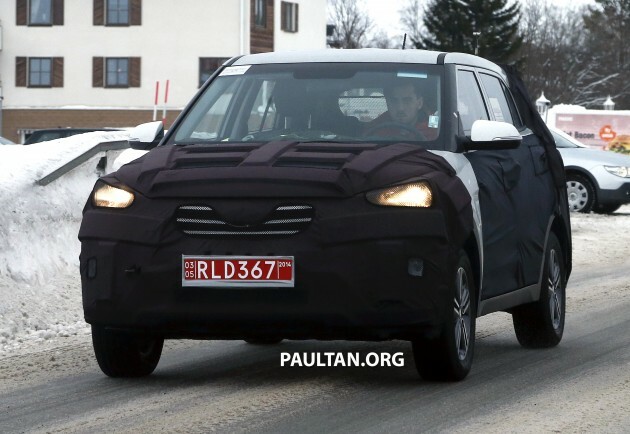 Based on the next-generation Hyundai i20, the Nissan Juke-sized SUV was heavily camouflaged during the test apart from the glass area (where blacked-out A-pillars can be seen), but certain details can be made out through it. From the looks of it, the ix25 is expected to wear Hyundai’s latest design language, including a front end not too dissimilar to the Santa Fe. The Hyundai ix25 will be produced in China through a joint venture with BAIC. So far, the car is only planned to be sold in China, where it will do battle with the Ford EcoSport. However, with the demand for junior crossovers soaring around the world – especially in Europe – the temptation not to limit the car to consumption in the People’s Republic only may be too much for Hyundai to bear. Indeed, Hyundai has already teased its concept car for the Geneva Motor Show, the Intrado. The company says that the hydrogen-powered SUV is smaller and lighter than the ix35 (also known as the Tucson) Fuel Cell, although whatever connection the concept has to the ix25 is anyone’s guess at the moment. Bring it in. This one can sell Colombo.